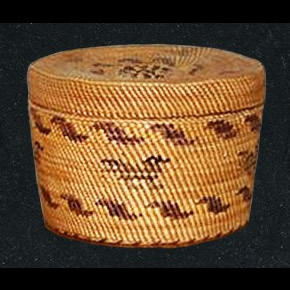 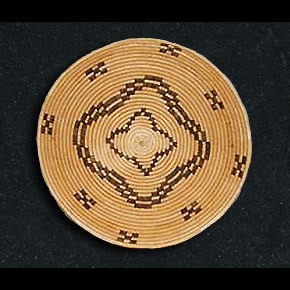 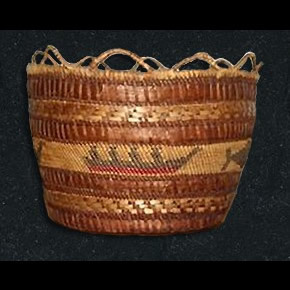 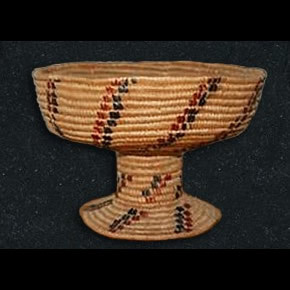 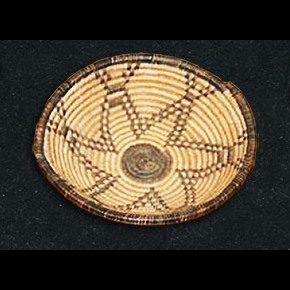 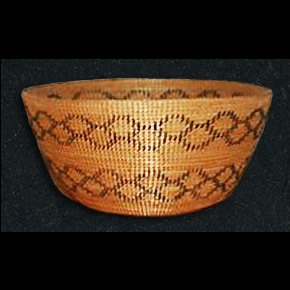 Modoc Child’s Hat Basket. 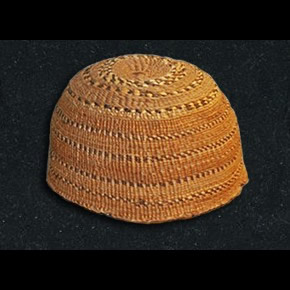 A very pretty polychrome child’s hat. 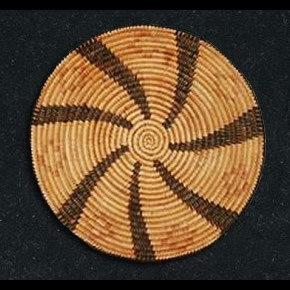 Made from tule which is found in profusion in the Southern Oregon/Northern California region. 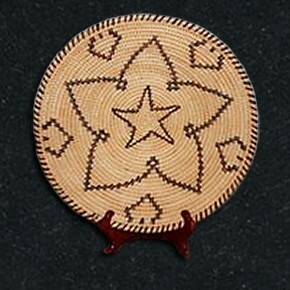 This basket has a few rim ticks. 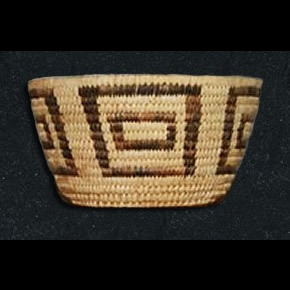 3 ½” x 6.